Welcome to the first day of 9 Days of Handmaidens on 365 Days of Star Wars Women! Today we’re looking at the most well-known of Padmé Amidala’s handmaidens, Sabé. 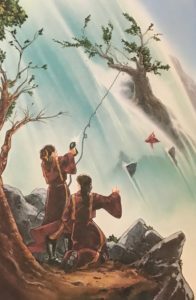 But first, who are the handmaidens? 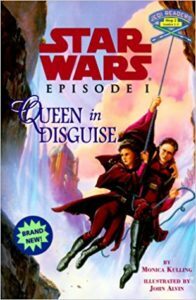 The Naboo Handmaidens appeared in all three Star Wars prequels films. 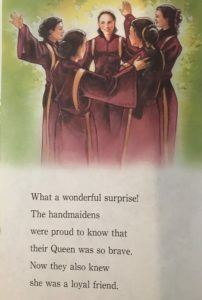 Handmaidens were chosen to protect and support their monarch. Women who were chosen as handmaidens at times looked similar to the queen (so they could serve as decoys) and also acted as overall aides and confidants. Handmaidens may appear to be silent and meek servants to the queen, but they are ready, willing, and, able to come to her defense – even if that means endangering their own lives. Coming up tomorrow – Rabé and Eirtaé.